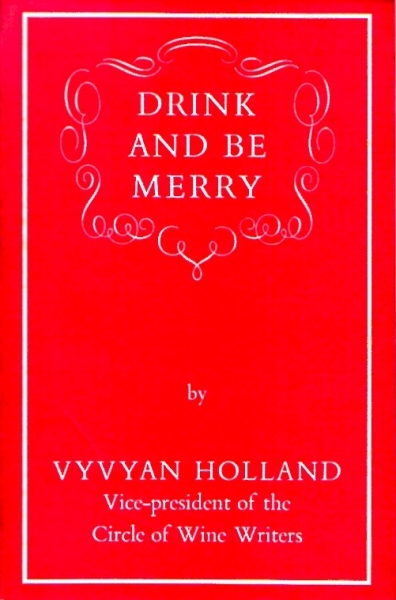 Recently I bought a delightful little book by Oscar Wilde’s son, Vyvyan Holland. Drink And Be Merry is the title and Holland was vice president of the Circle of Wine Writers at the time. Accordingly, his book is a very readable guide to wines of the world, peppered with anecdotes and other useful and entertaining wine lore. This equates to one and a quarter bottles of beverage for each guest, noting that five of the bottles are table wine, four are fortified and one a spirit. If we assume that the guests also enjoy a glass or two at other times of the day and that all or most of the dinner list is consumed, we can imagine they would sleep very soundly and need a drop of the hair of the dog on Boxing Day. Published by Victor Gollancz Ltd. London, 1967.